This book is a seminal study that significantly expands the interdisciplinary discourse on African literature and cinema by exploring Africa’s under-visited carnivalesque poetics of laughter. Focusing on modern African literature as well as contemporary African cinema, particularly the direct-to-video Nigerian film industry known as Nollywood, the book examines the often-neglected aesthetics of the African comic imagination. In modern African literature, which sometimes creatively traces a path back to African folklore, and in Nollywood — with its aesthetic relationship to Onitsha Market Literature — the pertinent styles range from comic simplicitas to comic magnitude with the facilitation of language, characterization, and plot by a poetics of laughter or lightness as an important aspect of style. The poetics at work is substantially carnivalesque, a comic preference or tendency that is attributable, in different contexts, to a purposeful comic sensibility or an unstructured but ingrained or virtual comic mode. In the best instances of this comic vision, the characteristic laughter or lightness can facilitate a revaluation or reappreciation of the world, either because of the aesthetic structure of signification or the consequent chain of signification. 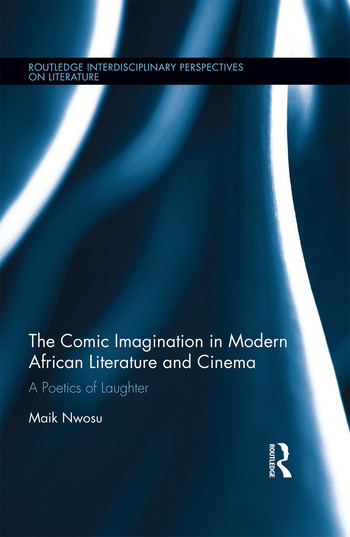 This referentiality or progressive signification is an important aspect of the poetics of laughter as the African comic imagination variously reflects, across genres, both the festival character of comedy and its pedagogical value. This book marks an important contribution to African literature, postcolonial literature, world literature, comic imagination, poetics, critical theory, and African cinema. Maik Nwosu is an associate professor of English at the University of Denver, Colorado. An award-winning novelist, poet, and journalist, Nwosu has also published Markets of Memories: Between the Postcolonial and the Transnational and coedited The Critical Imagination in African Literature: Essays in Honor of Michael J. C. Echeruo.